Ever wonder who keeps county residents safe, and how? If you have, the GCSO Public Safety Academy is a great way to answer your question. For ten weeks, one night a week, you can learn from the best in law enforcement, crisis intervention, search and rescue, and emergency medical services, for free. The Public Safety Academy will lead you through how to make a traffic stop, judge which way a bullet entered, and perform hands-on CPR. You will be able to ride along with a GCSO deputy, sit beside a 9-1-1 dispatcher, and tour the Detention Center. You can try on the body armor worn by the Special Response team, learn about how undercover detectives track drug deals, climb inside an air ambulance, see how fast someone with a knife can be, and watch a K9 stop a bad guy. It is a great introduction to how public safety works in your community! The 7th Academy will be held 6-9 pm every Tuesday from October 3 – December 5, 2017. 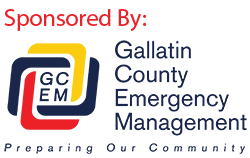 Any Gallatin County resident 18 years and older is welcome to attend. To register, contact Captain Shane Frantz at Shane.Frantz@gallatin.mt.gov or 582-2120.